To promote the release of his new movie Tomorrowland, writer Damon Lindelof (the man responsible for Lost, Star Trek Into Darkness and Prometheus) sat down with Flickering Myth’s Oli Davis, where they proceeded to talk about his new movie, but also the new Star Wars: The Force Awakens and Star Trek 3 movies. Because they’re both pretty geeky (and one of them is best buds with Star Wars director J.J. Abrams). 0:16 – Lindelof’s favourite invention he came up with that didn’t make it into Tomorrowland. 01:06 – A Tomorrowland Easter Egg that reveals Walt Disney’s involvement in the film’s secret society, the Plus Ultra! 02:09 – Damon’s thoughts on the second Star Wars trailer and whether he’s seen any footage (he’s best bros with its director, J.J. Abrams). 02:52 – Whether Damon would want to work on a Star Wars movie in the future. 03:47 – After producing both the recent relaunched Star Trek movies, Damon talks about his involvement in the third instalment. 04:28 – What Damon knows of the Star Trek 3 plot so far. 04:57 – Where would Damon like to see Star Trek 3 be taken. …is set for release on December 18th 2015 and sees returning stars Mark Hamill (Luke Skywalker), Harrison Ford (Han Solo), Carrie Fisher (Princess Leia), Anthony Daniels (C-3PO), Kenny Baker (R2-D2) and Peter Mayhew (Chewbacca) joined by Adam Driver (Girls), Oscar Isaac (Inside Llewyn Davis), Andy Serkis (Dawn of the Planet of the Apes), Domhnall Gleeson (Dredd), John Boyega (Attack the Block), Daisy Ridley (Silent Witness), Gwendoline Christie (Game of Thrones), Lupita Nyong’o (12 Years a Slave), Miltos Yerolemou (Game of Thrones), Max von Sydow (The Exorcist), Christina Chong (24: Live Another Day) and newcomers Crystal Clarke and Pip Andersen. …is set for release on July 8th, 2016, with Justin Lin (Fast & Furious 6) directing a cast that includes Chris Pine (Kirk), Zachary Quinto (Spock), Zoe Saldana (Uhura), Karl Urban (Bones), Simon Pegg (Scotty), John Cho (Sulu) and Anton Yelchin (Chekov) alongside new additions Idris Elba (Thor: The Dark World) and Sofia Boutella (Kingsman: The Secret Service). 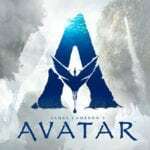 …is directed by Brad Bird (Mission: Impossible – Ghost Protocol) and stars Britt Robertson (Under the Dome), George Clooney (Gravity), Hugh Laurie (House), Raffey Cassidy (Snow White and the Huntsman) and Thomas Robinson (The Switch).